I owe an awful lot to John Carpenter. His films were woven into my aesthetic sub-conscious ever since I began watching after-school films like Big Trouble In Little China and The Thing on a weekly basis. 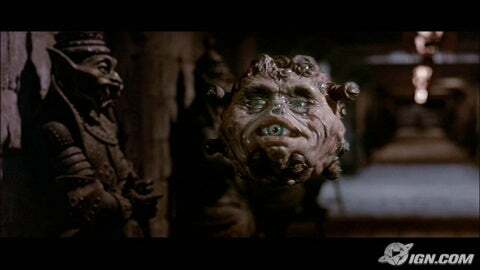 I probably related to their video game-like narratives; the sort of end-of-level, super-human ‘bosses’ and the re-spawning, endlessly grotesque characters, from the flying Boglin (or whatever it was) and Lo Pan himself in Big Trouble, to the hybrid multi-headed husky monster and countless others in The Thing… That and the flame-throwers, the kung-fu, the comedy deaths, the all-American brawn, Kurt Russell in vests etc. To The Thing I do, in fact, owe countless, thematic and aesthetic fixations. I’m already in debt with an entire song – based on Morricone’s pulsating score, its theme inspired by the ‘alien body’, or the sense of ‘other’ within us. 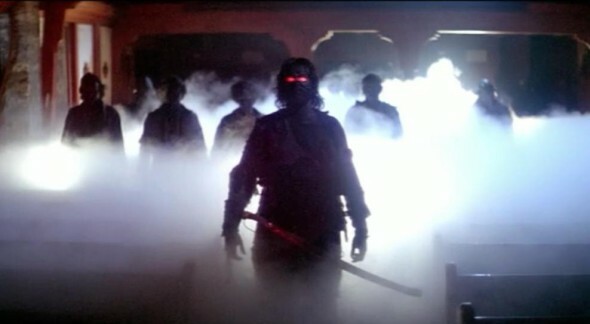 And to another of my favourite Carpenter films, The Fog, I owe staging aesthetic (the image above was inlcuded in my staging spec sheet for the first few shows), and the lesson of ‘how to create slow, relentless dread in musical form’. And so I reach the purpose of this post – a chance to sing the praises of Deathwaltz Records, a UK label who are set to release the soundtrack to The Fog this June. 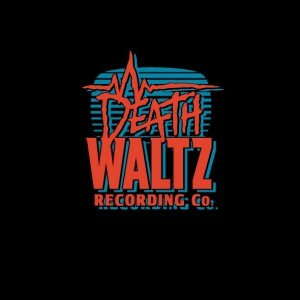 Deathwaltz champions cult movie soundtracks, releasing them on luscious, limited edition vinyl with apparently genuine love. From concept to manufacture, they really reflect an individual, devoted fan behind the products, and that is Spencer Hickman. So with this release comes exclusive artwork by Dinos Chapman and a special screening at the launch event on 7 June at a semi-derelict church in Islington which resembles, very closely, the location in this awesome ending scene of the film <<SPOILER>>. It’s the kind of detail that really makes all the difference and why it appeals so much to me personally.